Whenever the words ‘recession’, ‘market downfall’, ‘global economic crisis’ come in picture, I think about Mr.Rudy Giuliani, the mayor of New York, when the twin towers were hit on sep 11th, 2001. He was put under a situation where he was blamed for unpreparedness, death toll increasing everywhere and people all around the globe looking at him with different emotions. The way he handled the crisis amidst political, global pressure and his personal issue of fighting against prostate cancer, it is just amazing. If you are emotionally matured, market crashes will not disturb you. If market crashes are disturbing your inner strength then you are not emotionally matured. Peter Lynch rightly said, “You get recessions, you have stock market declines. If you don't understand that's going to happen, then you're not ready, you won't do well in the markets.” How the market works is unpredictable and no one can predict the impact when market falls down. 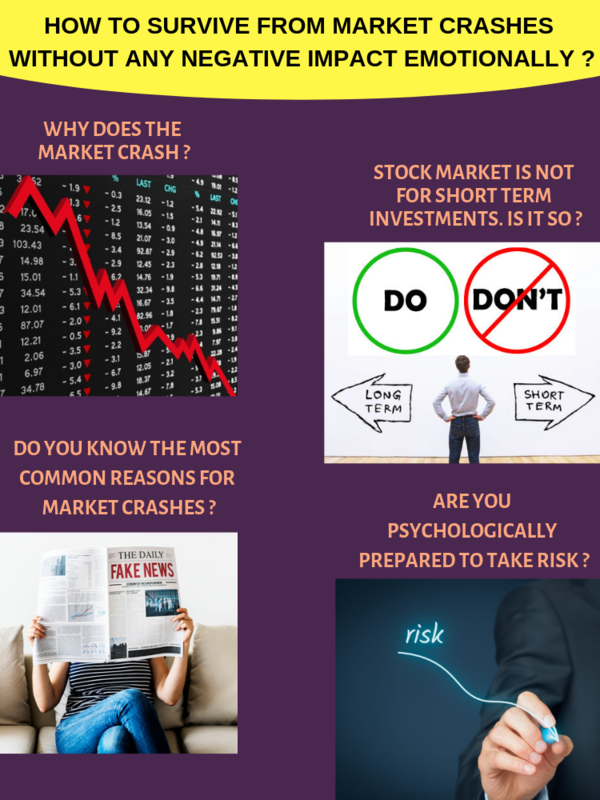 Are you emotionally stable enough to handle the market fluctuations? Do you want to develop the key attributes to become a strong investor? Are you ready to make this change? If so, the market is yours. Play your game and win it too.